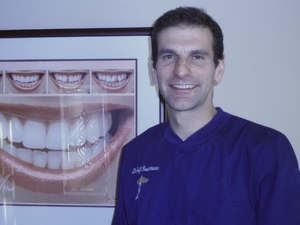 Dr. Jeffrey Buchmann, DMD is a proud graduate of Tuft's University of Dental Medicine in Boston, MA. Upon graduations he enrolled in a one year general pracitce residency program at Maimonides Medical Center in Brooklyn, NY. Having practiced in Fair Lawn, NJ for the past 11 years, Dr. Buchmann has treated a wide variety of paitents. "At our practice, the patient comes first. ", he says. "I always make sure the patient is as comfortable as possible before any dental procedure." Having extensive training in Lumineers and Dental Implants has given Dr. Buchmann a chance to treat many types of different patients with various needs. "I allways get a great sense of accomplishment making a patient happy with their smile after dental treatment. ", he says. "I"ll never forget the time a patient shed tears of joy with her new Lumineer smile when treatment was completed."